A cozy nook to sip coffee. An intimate space to raise a glass and celebrate. A lively setting to catch the latest shows and international entertainment. 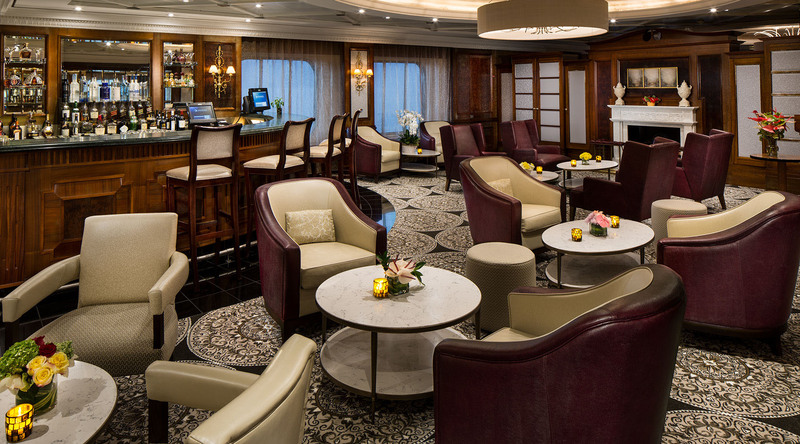 Watch the world go by, drink in hand from any of Azamara Club Cruises’ bars, lounges, and gathering spaces. From port to port, our onboard venues are the perfect place to unwind after a day of onshore discovery, to connect over drinks both before and after dinner, or take in a one of a kind show. And, with Azamara’s Beverage Packages you can indulge in a superb collection of fine wines, premium spirits, and more—without reaching for your wallet. Azamara Pursuit's newest lounge exemplifies our dedication to Destination Immersion® experiences. Through a partnership with AFAR—a publication focused on experiential travel—The Den inspires you with tools to travel to all corners of the world. Indulge in an AFAR-themed drink from the nearby Spirits, and engage in one of our destination-focused activities.